KCC provides fully-integrated services and technology for mass tort administration. 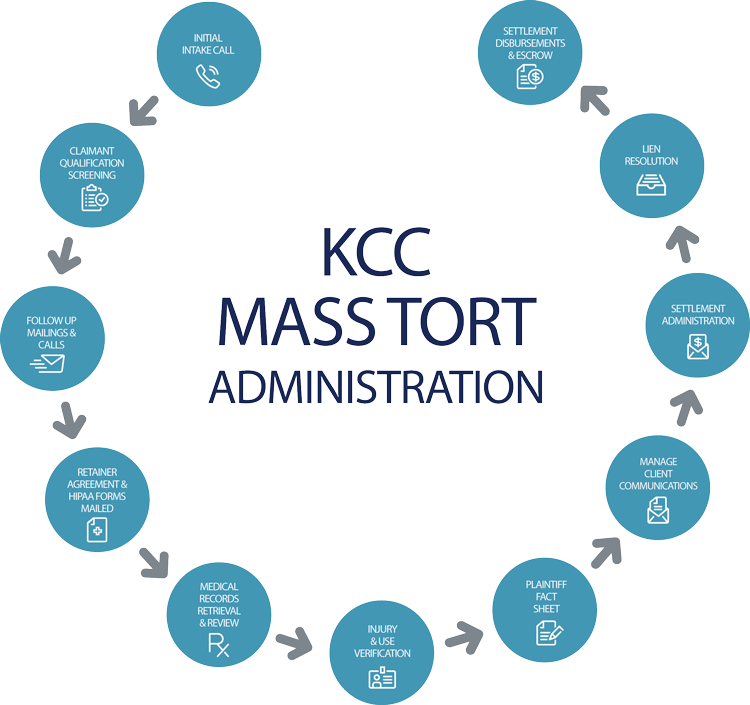 As your single source for mass tort administration, KCC maximizes the value of your leads, navigating them from intake through qualification, to medical records review, through discovery requirements, moving forward to settlement, lien resolution, and distribution. KCC brings expertise, value and high-quality service to each case. Each matter is carefully managed by our team of experienced consultants with decades of experience and a deep understanding of the distinctive needs associated with complex mass tort administration. KCC can serve all of your firm’s mass tort administration needs, or provide specific services on an a la carte basis.